There are reminders of the history of the Prairies everywhere and I love to photograph these old schoolhouses, barns and homesteads. In the years since 2013 that I have been photographing grain elevators in the Prairies, I have also been photographing these remnants of Prairie history. Bird's Eye View School, 1909 - 1960. The remains of an outbuilding behind the Sanders School, Manitoba. The school was built in 1885 and closed in 1968. Collapsed barn on an old, abandoned homestead. An abandoned home in Manitoba. 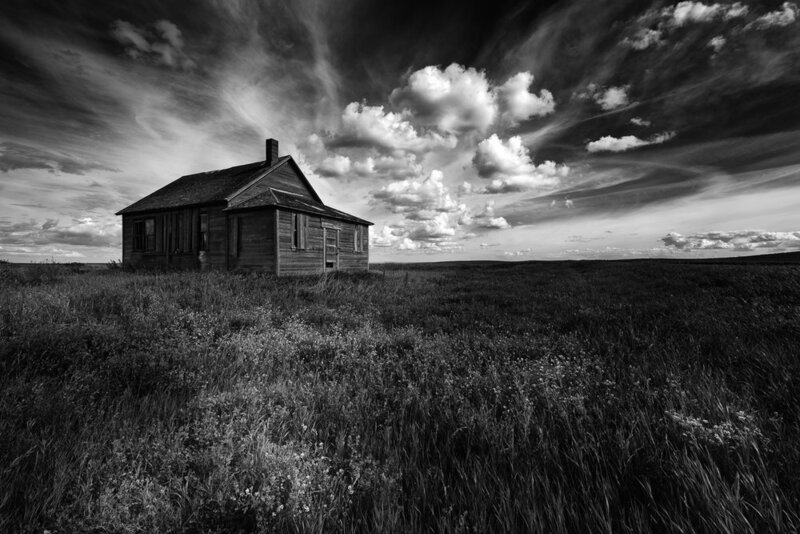 An abandoned home on the Saskatchewan Prairies. The town of Bradwardine was founded around 1902, when the railway was laid in this area. After two fires in the early 1900s, and closing of the railway line and school after the Second World War, Bradwardine declined rapidly. It is now a semi-ghost town with only a few occupied homes. 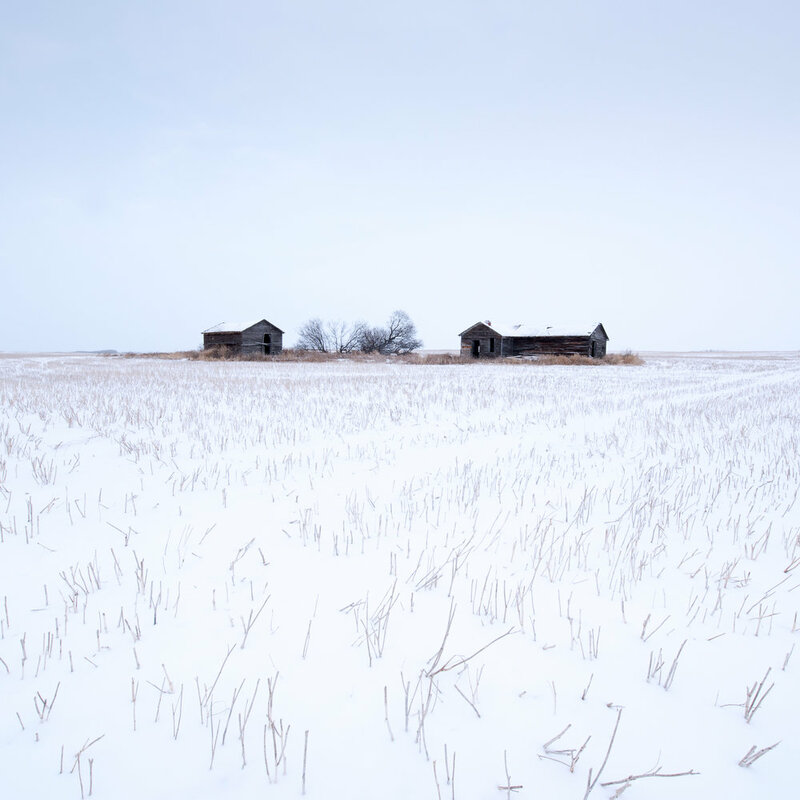 An abandoned homestead in Alberta.